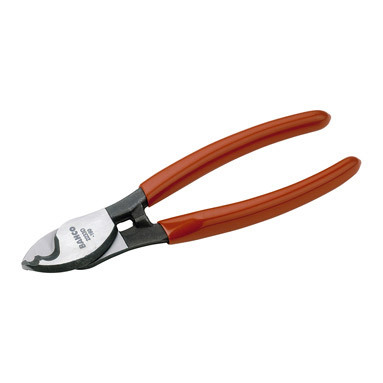 Bahco wire strippers, which can both strip and cut Copper/Aluminium cables. Specifically designed to cut and strip electrical cable. Finish: Phosphated forged surfaces with polished mirrors. Material: Carbon steel. PVC coated handles without return spring. Cut capacity copper area: 50mm². Cut capacity aluminium area: 35mm².